Musician Dallas Moore, known by many as “Mr. Honky Tonk,” is about as down-to-earth as you can get. Despite his success and list of friends in high places, he is warm and easy to talk to. His big, jovial laugh was ever-present during our conversation. 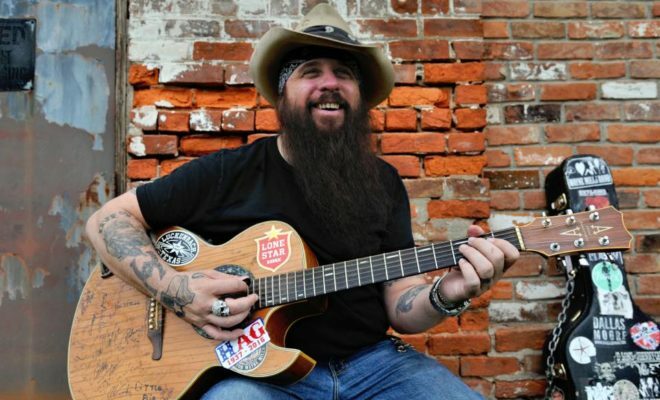 It’s no wonder that his band was the Ameripolitan Group of The Year in 2017 and that this year Dallas has been nominated for Ameripolitan Outlaw Male of the Year. It’s also no wonder that people find his music so relatable! Don’t miss out on your chance to hear the Dallas Moore Band live at The Hunt Store in Hunt, Texas, on Saturday, December 8. The show is free with dinner or $10 general admission. It’s guaranteed to be an amazing night of music in one of the best, most intimate venues in the Lone Star State. Dallas is pleased to be returning for his fifth performance at The Hunt Store. Dallas is a story-teller whose songs often describe many things that have happened directly to him, while others are stories about people he has met on the road. During our interview, Dallas laughed and said, “You could say my music is partly fact and partly fiction.” When asked about his inspiration for writing songs (he writes his own, by the way! ), he shared that the best way for him to write is to jump on his Harley Davidson and that, “The lyrics and the melodies just come to me. Seems like they come out of thin air.” He says if the song was meant to be, he’ll remember it and bring it straight to his guitar, and the song will develop from there. But make no mistake, this down-to-earth honky-tonker is also a hard worker. With more than 300 shows a year, he makes the rounds, and the fans couldn’t be happier. 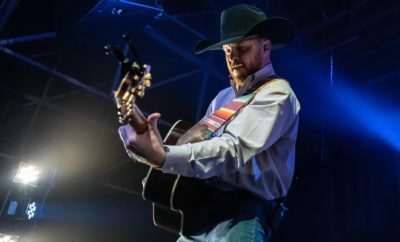 Dallas lives part-time in Ohio and part-time in Texas, which was the inspiration for his song “Texahio,” which appears on his latest album, “Mr. Honky Tonk.” Having grown up in Ohio, at some point Moore was in Texas so often that he needed a place to call his “second home” in Universal City- a place he calls the “Honky Tonk Hacienda.” And he does make the rounds in Texas, a popular part of the Texas honky tonk scene here. Next Story → Winter Wonderland Returns to COTA with a Tunnel of Lights & More!